Alachua County Advocates PTA distributed a questionnaire to all of our local, state and national political candidates to find out their stance on issues important to our school community. Select the links below to learn more about the candidates in each race. Responses are included exactly as they were received; no editing was done. Candidates are listed in alphabetical order by last name. Find your precinct, or view a sample ballot here. Local families have expressed a concern regarding the state of the facilities at their public schools. Would you support a ½ cent sales tax increase to support school facilities improvements across all schools? Why or why not? If not, how do you recommend facilities improvements be funded? Yes, I support the ½ cent sales tax. Nobody likes more taxes and I am not usually a proponent of more of them, however, I do not think it is fair to ask the students, teachers and staff in our schools every day to make due with old, broken down facilities that are just not up to par with surrounding counties. Can we say that we could have planned better financially in years past? Yes, probably so, but that is not what happened. We also can’t change the budget cuts made in the past that left our capital improvement budget underfunded. What we can do is move forward and make smart decisions now to improve our schools. I am in not only my children’s schools every week, but I have been a part of many school-based programs throughout the last 14 years that have afforded me the opportunity to volunteer in many schools in our district. I have also seen the facilities presentation for several campuses. This is a serious district wide issue that we have to address now. What are your ideas for zoning and programming to address current capacity inefficiencies (i.e. over-/under-crowding of schools)? Where would you look for additional funding/resources/partnerships to implement your ideas? This is a subject that has to be addressed with community involvement, staff recommendations and studies of where current and future growth will happen. The final product should be one that we don’t find ourselves in the same position we are now in few years down the road. We arrived at the position we are in now in because of not having a strategic plan that guided us to where we placed schools. Let’s look at some suggestions. Ildywild Elementary is overcrowded. What are some options? We have looked at reopening Prairie View at a cost of approximately $6 million. Will this be a long term solution or only a short term fix? We also may look at AQ Jones as an elementary school and move the students now at AQ Jones to the Praire View site. These are just suggestions. I want to state we must involve the community and adhere to agreements with other governmental organizations. Everything must be on the table including rezoning. This also includes closing and consolidating schools. We must look at short and long term agreements that can ensure long term stability. This won’t be easy, but then again things worthwhile often are not easy. First, I would love to expand the career and technical opportunities across the whole county. We have a lot of offerings already and Loften is a fantastic example, but bringing more of these educational tracts to elementary, middle and high schools across the county will help. We may have to rezone some areas and work with developers to address the issue of building in areas that are already experiencing overcrowded schools. People buy homes in areas that have “good schools”. Students want to attend schools with their neighborhood friends. Parents are more likely to be involved in PTA and school wide volunteer opportunities if they have friends volunteering alongside of them. We need to work together with county and city officials to ensure our growth coincides with the population growth. Do you support the Children’s Trust ballot initiative, which would create a coalition to coordinate early learning and after school programs? Why or why not? Absolutely! I support the children’s trust! This will be the year of the child! Early education is vital to the development of children. I encourage everyone to support this initiative. It is essential that when children enter our school system they will be ready to learn. We have shown our commitment to early child education through the Head Start program in our district and our Duval Early Child Education Center. Yes, again I would rather not add taxes to citizens, considering how high they already are. It is easy to say looking back how we could have spent funds differently, but that will not change our current reality. We need to help our most vulnerable, which are our children. I’ve seen in my own children’s classrooms the difference in students who attend preschool and PreK programs and those who do not. Expanding access to VPK programs and other early learning programs is of the upmost importance. I also believe parent instruction of these children is just as important. Many parents did not have involved parents themselves and don’t know how to be supportive of their children’s education. I have been a volunteer with the HIPPY program as well as the Read With Me at Duval Elementary and I have seen that it does make a difference. If we can help parents understand how the education system works and how important it is, they will be vested in their child’s education. I also think a lot of the methods used at the Bishop Community School can be implemented at other schools. Tutoring programs that target specific needs can be useful at all of our schools across the county. I would love to see after school programs that target students who want to participate in extra curricular activities. State law under HB7069 passed in 2016 placed Hawthorne Middle-High School under special scrutiny and a high-stakes school year judged primarily on student test scores and prior year graduation rates for the 2017-2018 school year. Terwilliger Elementary will undergo this in the 2018-2019 school year. Do you believe the school grading system is an accurate measurement of school quality? No, I don’t believe it is an accurate measurement of school quality, but we have to deal with what is in place. I believe in accountability, but there is more to learning than one test given at a certain time of year. We also have had a moving target since school grades first were used 20 years ago. First we had FCAT and when our state was showing tremendous gains we changed to FCAT 2. A moving target is hard to hit. Then 4 or 5 years ago we changed to Florida Standards (AKA-Common Core) and became the first state to change to this new way of testing and learning. I also feel the stigma and anxiety it puts on students to perform well can have lasting affects on our children’s mental health. I think that any school that has been failing for that long is a huge disservice to the students who are attending. It should not have to come down to one high-stakes school year. I am not a fan of high stakes tests or school grades and would like to see a reduction of the pressure we put upon the backs of students. However, I realize we must have some way to measure the success of our schools. The school grade system is not perfect, but it is what we have for the time being. With that being said I think the school grade only tells a part of the story and that a lot of good schools aren’t reflected by their grade. Local parents have expressed frustration with the amount of tests their students take and the way the tests are used for high stakes decisions such as class placement and program enrollment. How would you address these frustrations? Are there any changes that could be made by the school district to address this? The amount of tests and they way they have been taken has been a problem for a number of years. In 2014 this problem really came to a head in our district and statewide when a frustrated teacher named Susan Bowles at Chiles elementary refused to give the computerized Fair test to her kindergarten students. Her reasons were they were not age appropriate and there wasn’t enough time to give the test. She refused to give this state mandated test not knowing if she would be fired. I along with another board member publicly promised our support at a board meeting and in the press assuring her we would support her in her battle. The state eventually backed down and allowed the test going back to being paper taken. This courageous action by one teacher has led to a continuous upheaval resulting in the Florida Legislature devoting much time to over testing of our students in the 2018 legislative session. Our district is also looking at unnecessary tests to eliminate so much class time being taken away by testing. I have three children currently attending our public schools. I have been through the testing cycles for gifted, middle and high school magnets as well as all the yearly state and county required testing. I have the same frustrations. I am at home with students who are worried about their performance and how it will affect their teachers and schools. Some of these tests cannot be controlled at a county level. Some can and I would certainly support a reduction of testing wherever possible. Please comment on how the school district has approached closing achievement gaps in all areas and addressing inequity among students. How would you propose the community continue to address these issues? Our district has been addressing the issue of raising the scores of our lowest 25 percentile students especially at our lowest performing schools since I have been on the board. In 2016 the issue of the gap between African-American students and White students along with the issue of equity among our students came under more scrutiny when the United Church of Gainesville hosted a community workshop. At a board meeting in April and one in May the superintendent was asked to look into our board joining in this discussion. In the July board meeting Ms Hollinger (Interim Supt) was asked to look into how we could address this problem. This led to the formation of an equity department in our district. A final workshop for the equity plan will be held on August 14. This will lead to our final equity plan being finalized. This final plan has involved teachers, community members, administrators, outside speakers, consultants and school board members the last 1½ years. Again, I look to the community school model for guidelines. Bishop had made great strides in disproportionate discipline and reduction of out of school suspensions. Mr. Gamble once said it was the change in mindset that makes the difference. I agree. District wide looking at and focusing on the lowest quartile has been the method. I think that the hiring of the Equity Director and the equity plan set to be released are great additions in addressing the issues. Addressing social issues by placing more social workers in our schools, having a focus on mental health and offering more after school programs to support all of our students and their families are all viable solutions to addressing inequity. What programs do you recommend to address parent concerns regarding school safety? The first program is our system of care. It provides for social workers who will be able to identify problems with our students. Once a problem is identified the system of care can be used send the student to the proper outside agency for help. There is the training program (ALICE) that will be administered at the beginning of the school year to all students and employees in case of an active shooter. We also are doing a safety assessment at each one of our schools to see where we need to make improvements to protect our schools. Of course our School Resource Officer program is at the center of our safety plan. We will have at least 1 SRO in each school site. Safety is my number one concern. I am personally dropping off my children every day to different campuses. I am totally in favor of having dedicated SRO’s on all of our campuses; this was a priority of mine before the law was passed. I also think mental health falls under the school safety heading and as a part of ACTIVATE I think we can do more to address that issue. Marion County School Board adopted a text a tip program which allows the anonymous reporting of anything of concern to be followed up on by professionals. The hardening of our campuses is also a must. In what ways would you seek to improve children’s mental health issues within our public schools? This question is tied closely to the previous question in that we will use the system of care. In addition to the social workers provided by the system of care we will be adding more out of the general budget. We are also putting testing coordinators in some of our schools to free up the counselors to counsel our students. As I mentioned before, adding more social workers into our schools that can help identify needs such as hunger, unsafe home environments etc. will help. Having on site therapist such as Bishop does is an amazing benefit. The ACTIVATE program is looking to coordinate with PALS to implement mental health programs into more of our schools ( I think middle schools should definitely be a target for this) and the text a tip program is something I would really like to see here in Alachua County. Mindfulness training and mentors are also something I would like to see increased. How can the School Board work with PTA and other similar organizations to increase community involvement in local public schools? The school system cannot achieve the success of every student alone. Having involvement from the community and in every students’ home is absolutely essential. Hosting community wide training and events and boosting individual school wide PTA membership is key. When students see their own parents being involved and taking pride in their schools and education they are more likely to succeed. I look to organizations like Faith Mission that have their youth participate in school campus clean ups with their parents. All County Commission seats are county-wide. This means that all voters will select one candidate from each of the districts, regardless of the district in which you live. District 2 is the only district that has candidates running for the 2018 election. State law under HB7069 passed in 2016 placed Hawthorne Middle-High School under special scrutiny and a high-stakes school year judged primarily on student test scores and prior year graduation rates for the 2017-2018 school year. Terwilliger Elementary will undergo this in the 2018-2019 school year. What role does the county commission play in this process? The County Commission’s primary role in this process is to act as advocates for the community to our Tallahassee delegation. The Commission may also place such items on the ballot as necessary to establish public support or to generate revenue. Florida State Statute Title XI Chapter 125.01 lays out the powers and responsibilities of a county government, as augmented by the home Charter of Alachua County. As your County Commissioner I will work within the bounds of my authority and be a voice for an education system that focuses on learning rather than testing, that rewards success rather than punishing failure, and that promotes new ideas rather than remaining trapped in failed ones. So long as we know that our current approach is not serving every student well, I will not be afraid to try a different approach, learn from the attempt, and expand or correct as necessary. The risk of losing Hawthorne or Terwilliger was significant. The efforts of Mayor Surrency and his team in Hawthorne did an amazing job. There is little a county commission can do regarding state mandates or requirements, however there are some ancillary ways to make a difference. An example would be the current proposed Children’s Services Trust on the referendum. If this passes, there will be an increase from $1.25 milllion to almost $7 million dollars that will help with programs such as mentoring, after school and a more thorough way of expanding existing programs. Had these programs been in place previously, there is a good chance that neither school would have been in jeopardy.In addition, we have a serious issue in our community with children’s hunger. This impacts kids ability to learn and in some cases, have kept them out of school. Attendance and distraction both impact the ability to learn. Through community support and the county’s CAPP program, funding is given to make sure kids have the nourishment and availability of food. I have been a strong defender of our public schools, particularly our schools that are community schools such as Hawthorne and Waldo. I see the responsibility of the County Commission as one of support for the health and wellbeing of community schools as a means of supporting the life of the municipality. Likewise, neighbourhood schools help to keep neighborhoods vibrant and interactive. I would support the use of CRA resources as a way for the county to offer assistance in supporting local schools and keeping areas from decline. As in Hawthorne, the community citizens have been activated and as a former teacher and advocate for public education, I will keep the County Commission focused on the importance of community and neigborhood schools. What role does the county commission have in determining school placement and capacity – new schools, closures, and capacity changes? How have school grading system impacted this? How do school closures affect local businesses and the community as a whole? There is no doubt that school closures impact local communities negatively. The further that children must travel to their school, the less parent involvement is available and the lower the quality of the education our children receive. I have not had an opportunity to fully explore the interaction between the School Board and the County Commission, but I will make time to talk to our school board members before the election. I can say that as your County Commissioner, I will advocate programs that empower parents to have more say in their child’s education. School placement and capacity are unfortunately issues that the school board decides on., however the county works closely with zoning and planning. With every new development proposed, the school board presents a report to the county commission regarding availability of spots and teachers. With concurrency and based on the existing plan, it would take a change in school board policies to give the county commission the ability to reject zoning applications based on school concurrency. My role would be to work closely with the Superintendent and her board so that we have an open dialogue and work as closely together as possible towards smart solutions. Clearly, school closures are detrimental to the community. To morale, to business, to economic impact. We need to work together to do everything we can to provide the highest quality of education in all schools and focus on growth and opportunity. Our state government is doing all it can to force local governments to take more fiscal responsibility for the operation of its schools. Charter Schools have received equal footing to the public meaning more funding away from our public schools.This puts more pressure on local city and county leaders to address unfunded mandates with more responsibility for decision making particularly as it comes to raising money to address the needs of children. As municipalities expand, more input must come from the schools boards as they access help from local governments. Florida’s population continues to grow and developers must partner with the community by working within the boundaries of our County’s. Comprehensive Plan. The controversial grading system used by the state for teachers and school administrators has drastically changed the way students choose their schools and shifts student populations away from closer neighborhood schools. School closings can result of this shift endangering Communities and the civic pride that is built around their schools. I have been vocal in my support for keeping schools in their communities . When schools are unsuccessful it will be difficult to attract the businesses Florida seeks. Our legislators have failed to see the connection and so it must fall to local leadership to keep that focus. What role does the County Commission have in working with the School Board to make Alachua’s public schools equitable and exceptional in facilities and programs for all Alachua families and communities? It is a bedrock principle of our republic that government should treat all citizens equally and fairly. As your County Commissioner, you can be confident that I will work towards a government in which every person in Alachua County can be confident will treat them equitably. I will be a voice for more options in education, options that empower parents to have a say in their child’s future and education. This comes back to parts of the previous questions I believe. The school board’s budget is mostly a state decision. Voters have some say in taxes and fees that could be implemented to supplement the budget. I do believe county commissioners should make themselves readily available to work closely with the school board and the superintendent as often as possible, but it is important to respect their job and work with them instead of trying to intercede where it is not appropriate. Equitable schools and exceptional facilities and programs should be a priority for all, regardless of their role. We have a gross inequity that needs to be adjusted. Our role as a commission (or specifically as individually elected commissioners) is to be available to work with the school board as the opportunity arises and the school board requests. This starts with building positive, open relationships. The Comprehensive Plan of Alachua County lays out the role that the Commission plays in making sure that the work force is properly educated and addresses poverty through providing educational opportunities. I was most excited to see this as I have been questioned as to how my experience as a teacher would be used on the Commission. I am determined to call the Commissions’ attention and responsibility to work with the School Board whenever needed. If this includes funding to help supplement our school board’s budget to maintain buildings, there are avenues through which this can be done. Transportation for after school programs can be addressed by aligning the school board to our public transportation system. We must learn to interface agencies whenever possible. The county has a vested interest in educating our workforce. Our school district is the 3rd largest employer in the county. How concerned are you about teacher shortages? How can you work with our current school district personnel and CTE programs to enhance their efforts to attract and retain quality teachers? While Alachua County has moved up the ranks in terms of teacher pay, we still sit towards the bottom of the middle compared to other counties in Florida. It is a shame that despite the presence of a world class university with a teach college, we have trouble attracting and retaining talent. As your County Commissioner, I will work to make Alachua County a more attractive place to live and work for everyone, by working on policies that will reduce the cost of living here. I will work to find innovative solutions to spending issues, like partnering with business and activist groups to provide services to free up tax dollars for other areas. I am a proponent of career and technical education and I think we best serve our students by providing a number of tracks for furture success. The budget and personnel are governed by the state. I am deeply concerned about the shortages and the pay as any concerned resident would be. Our number one focus as a community should be the next generation. The best opportunity for their success is to have the best teachers, the best programs and the best facilities anywhere. What I can do as an individual is build relationships with the school board members and the superintendent to discuss ideas and opportunities as they request. Good ideas can come from many different places. As a commissioner, I can work hard to make sure that we create an environment where quality of life issues are added bonuses that are attractive to potential teachers to consider Alachua County. We cannot directly impact salaries, but we can focus on quality of life issues. We also can work to create economic opportunities in areas that are ripe for growth where there are shortages. As businesses and families move to the areas, the tax base increases (and diversifies) and the opportunity for new schools or improvements to schools in those areas become more likely. I am very concerned about teacher shortages and know that much of this can be attributed to what state legislators have done to gut public funding and to attack teacher retirement and tenure. I still substitute and volunteer knowing full well the stress of teaching, trying to spell teachers who struggle daily. Currently, our society is producing more disfunctional families resulting in children who bring trauma issues to school that interfere with the learning process. The job of educating children has become so extraordinarily complicated that recruiting is difficult. Increasing the minimum wage to a living wage, making affordable housing available to teachers and working families and increasing transportation options makes it easier to keep teachers here working in a healthier and happier economic community. Children that are well fed and cared for are better able to learn and participate in the classroom and give our teachers the sense that they are successful in their chosen profession. How can the PTA assist you in your work at improving communications with families and improving our public schools? The single best indicator for success in parental involvement in their child’s education. As parents and teachers who have donated the time to work on improving education, your insights in how to increase engagement and bridge the gap is essential. Another thing the PTA can do for the county is to have a presence at County Commission meetings. I am sure the PTA is deeply involved in school board meetings, but there are decisions that impact our schools and education in Alachua County at the Commission as well, and frequently we may not know what those impacts are without citizen engagement. This might be my favorite question. The PTA has so much value as it represents parents who care. No matter how good the teachers, the facilities and the programs are, it starts at home with parents. One big way the PTA can help is encouraging every resident to vote for the CST. Parents need to be actively involved in their kids lives and commissioners, school board members, volunteers, parents and administrators need to be working together and communicating regularly to address all issues early and find solutions to our problems.As far as helping me specifically, I believe the best commissioner is one who is approachable and accessible. When elected, I hope to set up community meetings monthly so that parents and teachers can make sure their voices are heard and their concerns are shared. The PTA could be a driving force in helping to set these meetings up at schools and be the facilitator so that we maximize attendance. Every person was born with one mouth and two ears. I hope to maximize that and listen to the community far more than I speak so that I can truly hear their concerns and find solutions with their input to make a difference. The PTA is crucial in making sure that our successes are as well documented as our failures. It is my goal to join the Commission to keep the focus on the needs of all our children and to provide the opportunities outlined by our Comprehensive Plan. We continue to be a divided community because of the inequities we have documented in student success rates. We must keep our attitudes positive and moving forward. The PTA is the best vehicle to revive our hopes for the education our children and renew our faith in public education because this organisation presents itself as neutral and parent committed. All of Alachua County lies within State Senate District 8. No responses were received from the following candidates: Charles Goston (independent), Keith Perry (republican). Alachua County is divided into three House districts: 10, 20 and 21. The race for District 20 has concluded, as there was only one candidate. Residents will vote for either district 10 or 21, depending on their area of residence. Click here to find your district. The Florida legislature has passed a number of laws in recent years that allocate a significant amount of funding to charter schools and private school vouchers. Do you feel that’s the best use of tax payer dollars? Why or why not? I do not feel that this is the best use of taxpayer dollars. We need to make sure that every child in Florida has access to the best possible public education. This can only be done by ensuring that our schools, students, and teachers have the resources that they need to succeed, and not by diverting resources elsewhere. No. It should all go to public schools. Close discrimination. Yes. I Pastor a congregation in Lake City, Florida, in which I incorporated a Private School, Greater Heights Academy: Day Care Center and K-12 School with a purpose of aiding families in the community and surrounding areas. The funds receive does not go far enough to effectively staff and educate children without significant contributions and/or decreased expenditures. I support school choice especially with the parental feedback for wanting their children to be educated. taxpayer money being transferred to private or charter schools. Local taxpayers have expressed a strong desire for increased funding for public schools to support such things as facilities improvements, teacher salary increases, and additional resources to meet the needs of every student. Do you support an increase in the base allocation of public school per student funding? Why or why not? I do support a base allocation in the base student allocation, I also believe that such allocations should not be tied into programs such as the arming of teachers. We need to increase teacher pay, improve our infrastructure, and provide vital services like wraparound services, that starts with increasing funding. Yes. Education in FL has suffered hard in the last decade. Need revenue from morethan just ad valorum to do it. Increasing allocations is situational. Funding at schools are predicated on the decisions at the school district level along with school board members. Some districts seem to operate efficiently and are fiscally sound. Increasing funds does not always make programs reliable or building projects done sooner rather than later. Therefore, district development should be soundly strategies for development in all areas. resources to meet student needs, and that voters support this increased funding. Years ago, the amount of Capital Outlay Funding the state provides to districts that can be used for new buildings and facilities improvements was capped at 1.5 mils. Would you vote to increase this back to 2.0, as it was in pre-recession years? Why or why not? Yes I would. The millage decrease was meant to be a temporary relief following the recession and has not been restored in the following years. This is irresponsible and now our students and communities are facing the harsh realities of inadequate funding. We need to bring the cap back to its pre-recession level. No. Only property owners pay for the increase (ad valorum). Most property owners I know do not have children. Why should they be the only ones to bear the burden? Increase funding is situational. Currently, there were decisions made to engaged into a trade, which has increased the cost of materials within the United States as well as the uncertainty of national leadership changes. Although our economy is thriving, it is wise to stay any increased funding in building and facilities improvements until a future date. facilities, whether that is 1.75 or 2.5 mils. State law under HB7069 passed in 2016 placed 90 schools within our state under special scrutiny and risk of closure in the 2017-2018 school year. Do you see any need to change this law and the impact on local school districts and the wider community? Do you think the state of Florida should make school closure and capacity decisions? There are very few parts of 7069 that should remain law (mandatory recess being one of those). I believe that we should not be using school closures as a stick to push for change in our schools. Instead we need to be giving them the resources that they need to improve such as wraparound services. I think that school closure and capacity decisions should be made at the school board level. Florida State should have the right to act in capacity and I see no need in changing HB7069. up to local school districts, not the State. Many local parents have expressed frustration with the amount of state-mandated tests their students take, and the way the tests are used to determine high stakes decisions such as teacher evaluations, student retention and school closures. How would you address this frustration? What are your views on state assessments? We need to reduce testing. I believe that the current system of high stakes testing has a negative effect on the academic performance and mental health of our students, particularly minority children. I believe that assessments should be developed in conjunction with individual school boards and local teachers based on the unique challenges that exist in each district. Stop most of the testing. Standardized Tests do not measure all the things or ways a student learns. Tests do not measure resources available to a school. I will support measures to reduce the need for state mandated tests. Mandated test can be challenging to students, teachers, and schools. It appears that many people on different levels want to understand problems that persists with educational delays in students and schools. Then chart appropriate course(s) towards correcting these delays. There are students that graduate with certificate of completion, which prevent them from important career opportunities. I developed many young people from different educational systems around the United States and there’s one fact I learned. Young adults learn in different ways and different times, but when they understand it, they grasp it, and take off educationally. Education will happen, but it must be given time and test will not necessarily be an accurate instrument of gauging understanding of a subject. 1. Any measurement should be based in sound, current, and peer-reviewed research. 2. Metrics for accountability should be developed at the local level. not only simply a quantitative measure such as a test score. student succeed, not as a tool to harass, intimidate, or threaten teachers. In what ways could the Florida legislature better support school safety and funding? We need to ensure that resources for school hardening and school resource officers are available to our districts. We also need to significantly increase our funding for mental health programs statewide. School funding should never be tied to a school districts decision to arm teachers. Stop screwing around with the funding. Put rocks in all halls + class room, security cannot be everywhere at once. Legalize marijuana, use the money for perimeter cameras; hi-tech security, body rear cameras on LEO’s. In March 2018, Governor Rick Scott today signed SB 7026, the Marjory Stoneman Douglas High School Public Safety Act and the legislation made momentous reforms to make schools safer, in attempts to keep firearms out of the hands of mentally ill and dangerous individuals. 1. Oppose the arming of non-law-enforcement personnel on school properties. 2. Provide sufficient Capital Outlay funding to make physical security upgrades, if needed. community so as to not contribute to the school-to-prison pipeline. In what ways could the Florida legislature better support mental health programs in schools? We need to expand Medicaid to allow for more federal funding to come in and assist with Florida’s woefully underfunded mental health programs. We should also readdress the state’s bullying policies to ensure that it reflects current social media use and discrimination towards LGBTQ youth. I would also support suicide prevention programs in our school districts similar to what Broward County enacted through a State appropriation in 2017. Florida’s entire mental health system needs an overhaul. More counselors and facilities (ones that are not the county jail) are needed to improve access to help. Provided more funding in treating mental health programs. Florida is last in this endeavor, so we need to make up difference. only mental health counselors, but also social workers. Florida is experiencing a widespread teacher shortage. How would you address this? We need to start by increasing base funding to allow for better teacher pay and benefits. We want to be able to attract the very best teachers possible and provide for the incentives for them to stay. Teacher shortage: better pay, better benefits, and job security. See responses to #5 and #6. The overall educational system must improve. Teachers will stand in line for something that they want to be part of. Great education and terrific morale in students and staff. I think the solution to the teacher shortage is two-fold. to the position of respect it once had in our society. Our current immigration policy has placed thousands of children, both natural US citizens and undocumented, in situations without parents or adequate guardianship. Would you propose any special consideration of support for these children and the school districts that are serving them? Why or why not? One of the largest fears that immigrant families have when sending their children to school is that some how it will put them in a position where they will end up facing prosecution for their immigration status. We need o ensure that our schools are safe places for students to learn, and that parents can fully participate in their children’s school lives. No. There are thousands of children without adequate guardianship; children that are not tied into the immigration issue. Cannot do for one what we am not willing to do for another. Making provisions for these children are necessary and I will support legislation to aid these children and school districts. considerations to school districts that are serving these students. I could use as much public support in this election as possible. My Republican opponent Keith Perry has taken numerous votes in favor of policies such as HB 7069 and HB 7055 which have been extremely detrimental to our schools, I want to make sure that parents are aware of this, and that I provide a much better alternative for the future of education in Florida. Don’t know. I have no children. Feedback to legislators is necessary because it aids in the development of policy. Especially since, this feedback is coming from the front lines of our educational system. PTA should be present and involved in educational communities. If elected to House District 21, the PTA can help me in my work in several ways. 1. Provide a means of communication between my office and families. 2. Keep me abreast of issues facing local schools. All of Florida falls under one representation for Senate. All of Alachua County falls under U.S. Congress District 3. No responses were received from the following candidates: U.S. Senator: Bill Nelson (democrat), Rick Scott (republican). U.S. Congress District 3: Ted Yoho (republican). The recently passed national education law (ESSA), directly ties funding to family engagement. How do you envision improving family and community engagement in all our schools under this laws? 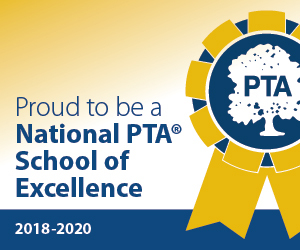 How will you work with PTA at the National, State, County, and Local levels to ensure better family and community engagement in all our schools? ESSA provides grants to encourage meaningful engagement of parents and communities with schools. Collaborating with community based organizations and/or businesses that have a track record of improving family engagement will make a great impact on student outcomes. I will work with the national PTA to help facilitate these valuable connections through the safe and supportive school policy. This policy is in direct alignment with ESSA to help family engagement. ESSA can also provide funding for PTA trainers to help train the local community. Communities and schools are partners for a strong America. ESSA also changed the Title II funding model, which provides funds for the professional development of educators. What are your thoughts on Title II funding? How would you propose to assure teacher quality, professional development, and retention? I know from experience that teachers need continuous professional development ESSA replaces the highly qualified teacher provision with new reforms. States may use Federal professional development funds to increase access to effective teachers for students from low income families and students of color. Paraprofessional and non-certified teachers are sometime highly effective teachers even though they are not qualified. These funds can help these non-qualified effective teachers to become highly qualified. Additionally, a reformed DOE can strive to work with outside agencies, organizations, and PTAs to provide the most comprehensive training for teachers to improve school effectiveness. The teach to lead program, a joint initiative aims to increase teacher effectiveness by providing more opportunities for teacher leadership. Teach to lead provides resources, facilitates stake holder consultations, and encourages professional collaboration. Title II improvement grants can be used among other things to improve teacher recruitment and retention and develop effective evaluation systems. Yes. It starts with compassion. As a former educator in Miami, Florida; where many immigrants arrived on our shores at one time. We set up processing sites to carefully screen, evaluate, and place students in the appropriate settings. Teachers see their students every day so they have valuable insight into the lives and needs of their students. We must work with teachers to create individual plans that address the individual needs of every child. ESSA and Exceptional Student Education along with language support will be of great assistance to the schools and school districts. Collaboration. I am a big believer in the power of collaboration and I know that if we work together we can create viable solutions to the problems that face our district. It is one of the goals of the federal government improving student achievement. One of my goals while running for office was to hold a listening round table with parents and teachers. I was not able to do so, but I plan told hold these intimately during my time in office.